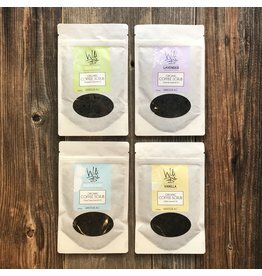 Wild Bella's Free Spirit Clay Mask is a hand made, all natural blend of bentonite clay, green tea and essential oils help to draw out oil and toxins from your face while helping heal and rejuvenate skin. 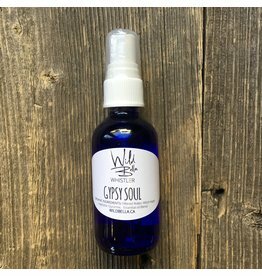 The package is heat sealed and should last up to 6 months with the seal unbroken. 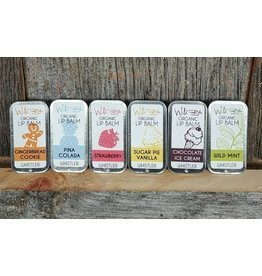 Once you have opened your package it is recommended you use the product within 7 days as the ingredients are all natural and contain no preservatives. 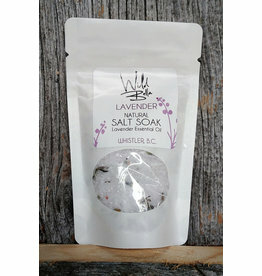 Wild Bella Salt Soak is made in small batches using high quality ingredients in Whistler British Columbia Canada. 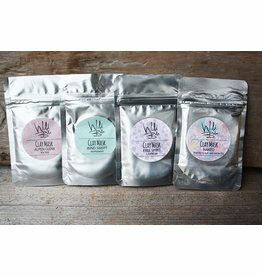 Each product uses theraputic grade organic essential oils and organic floral inclusions, sourced as locally as possible! 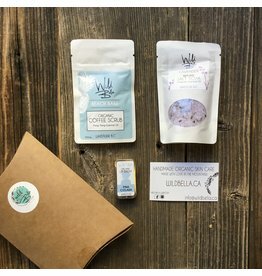 Wild Bella Pillow Box Gift Pack contains all the essentials to look after your skin, with a coffee scrub, lip balm and a salt soak!